Time flies. 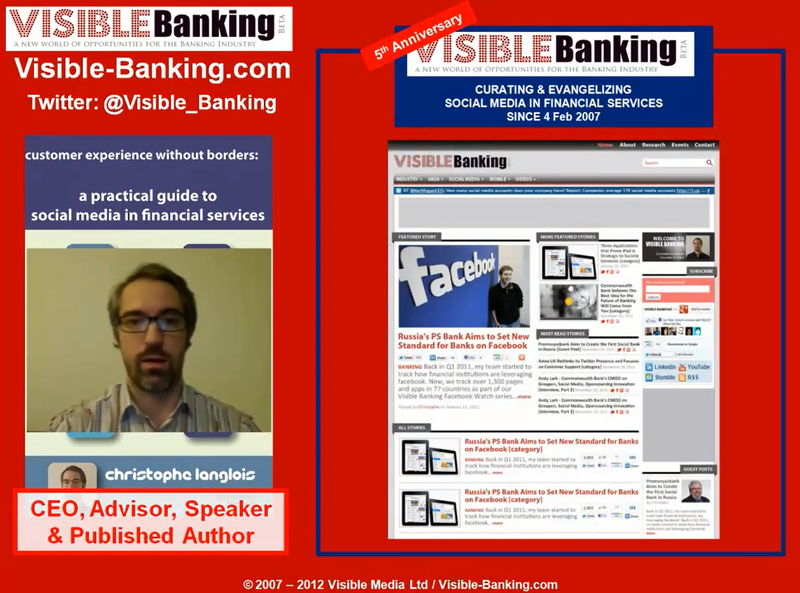 I launched the Visible Banking blog back on 4th February 2007 with this post. It means that today we celebrate our 5th anniversary! I recorded a short video to mark this day and share with you some of the new major initiatives we will be launching soon including the total redesign of our platform and our ‘Visible Banking Stars’ programme. A BIG THANK YOU to all of you for your support: clients, partners, readers of the Visible Banking blog, followers on twitter and fans on facebook. I invite you to watch my youtube video and share your comments and suggestions to make Visible Banking even better in 2012. We look forward to working with you in 2012.